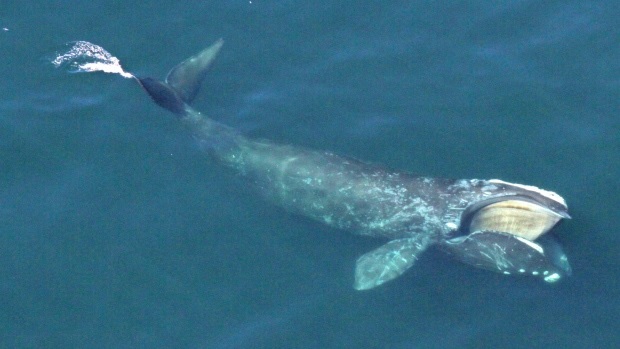 For decades conservationists, and scientists have been extremely concerned about the population of North Atlantic right whales. Estimates are that there are now less than 450 of the animals left, only about 100 of which are breeding females. This is barely enough to ensure the survivability of the species. Last year there was great alarm over a record number of whale deaths in Canada and the US, 18, in all, from fishing gear entanglement, to ship strikes of the slow moving whales. Every year scientists have travelled to the wintering range of North Atlantic right whales in the warmer waters around the coast of Florida in the U.S. to count the new births, This year so far, none. The peak for births is January and February and is over by end March.. On average there are 12 births per year, but none so far this year. Barb Zoodsma is a biologist who oversees the right whale recovery program in the Southeast for the National Oceanic and Atmospheric Administration. Quoted in the Boston Globe, she says, “This is the worst-case scenario. This season appears to be a total bomb. You don’t have to be a math major to see that things are going in the wrong direction”. Every year there is always hope the number of calves born would exceed the number of deaths. Up to the early part of this century about 20 calves could be expected, although numbers could fluctuate from year to year. That began to decline by 2011. Five calves were born last year. Never a year without calves before. 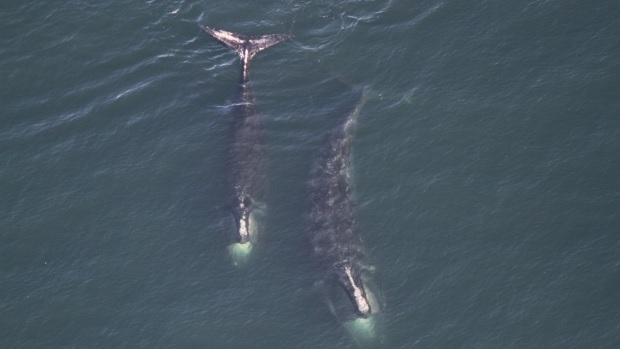 Scientists searching this year have yet to see a single mother-calf pair even as the birthing season nears its typical end. The peak for births is usually January and February and is over by the end of March. Philip Hamilton is a research scientist at the Anderson Cabot Center for Ocean Life in Boston who has been specialising in photo identification of the whales for over 30 years said they’ve never seen a year without calves. Quoted in the Canadian Press, he said, “It’s actually heartbreaking in general. I’m concerned about this being a more prolonged, permanent shift”. Scientists have also noted the fertility rate is down. Females used to give birth about every three years, but that now has been stretched to every seven years. Scientists have also noted a shift in the whale’s typical range, having shifted north in the summer possibly due to warming ocean waters and a shifting food supply. Scientists have speculated that several things may be conspiring against the whales; warming oceans, increased ship traffic and underwater noise, and the stronger ropes being used by crab and lobster fishermen which don’t break when the whales become entangled. 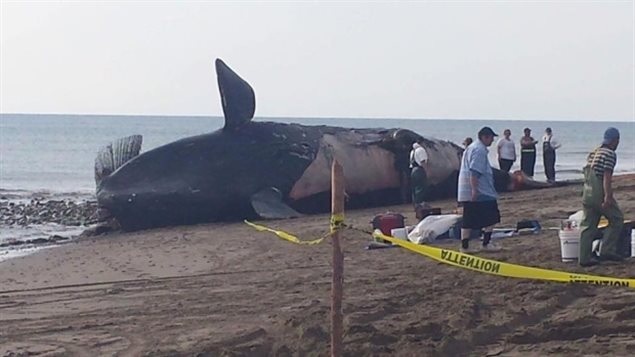 Tagged with: Canada, conservation, endangered, environment, extinction, right whale, U.S. I alerted the NOAA April 2017 about Wolbachia most likely being the root cause of their mortality. They (and others) have completely ignored the study literature I sent them. Also, these whales are highly promiscuous. And, whales have also suffered West Nile virus and St. Louis encephalitis virus. Zika is supported over 97 percent within that phylogenetic clade. I highly suspect Zika is the phage that is enabling Wolbachia to infect vertebrates (including humans). But other viruses could too. I wrote to the pathologist, Dr. Daoust, who led the necropsies in Canada. His response (also used twice in their official report): An infectious cause “cannot be ruled out, but is unlikely”. Imagine if we said that to a woman that might be pregnant, LOL.